Fitness technology specialists Polar has become the latest company to enter the fitness and sleep tracker market. The Polar Loop is a bracelet-like fitness tracker that bears a passing resemblance to Nike's Fuelband. Besides tracking exercise, the Loop is also able to track keep an eye on sleep patterns, provide motivation and feedback, as well as issue alerts to users when they risk not hitting their daily target. Unlike the Nike Fuelband though, it is waterproof and designed to be worn 24 hours a day; including in the shower. The bracelet also works with Polar's Flow app. It is only available on iOS though it the company has said it is working on an Android version. 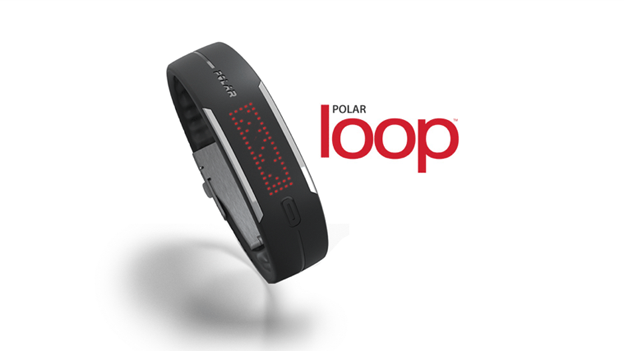 Polar will be launching the Loop in black with red-LEDs. It is set to launch a pink version with white-LEDs early next year. The Loop also has the ability to “offer users the option of incorporating heart rate monitoring during workouts, which ensures that credit is given for all exercise, including activities such as cycling that an activity tracker alone will not capture”. According to Polar, the heart rate monitor also includes access to its Smart Coaching features and expert advice. The Polar Loop is set to launch in the US next month. It will retail for $109.95 (£68). No UK pricing or release date has been set.